We guarantee a web site that you will be happy with, that is developed on time and within budget. MITFoodTrailer - To display the location of the food trailer. This phase is the initial meeting conducted to gain a complete understanding of the type of business conducted, the business practices, and the marketing intended. Based on these results the intentions, features, and functional requirements will be established developing the structure and possible themes of the web site. At this point, if the project proposal is accepted, a contract will be written to determine a schedule of milestones for the project, and details such as on site server and network establishment, domain registration, and types of web site optimizations will be addressed. This contract establishes commitment on behalf of the client and oneilonline, and to establish project expectations and deadlines. In this phase the actual building of the web site begins. We develop several prototype pages, and allow the client to monitor the construction of the site through a secure test version online as the components come together. Working closely with the client on structure, layout, design, and issues with theme, features, and function. Following the construction of the web site, we will test all the functional requirements of the site until all aspects pass. We will make sure the web site is cross-platform compatible and as efficient as possible. At this point the client will be able to browse the web site as if it were online to ensure complete satisfaction of all the elements. This is the point when the web site becomes officially online. The domain name is established, and site optimization is conducted. This phase is when the client establishes a time line with oneilonline for when web site maintenance will be conducted. Generally, two options are available: One is to have oneilonline conduct all, large and small, website updates. Or two, to have oneilonline establish a 'Contribute' system of web site authorization, which enables specified areas of a website to be edited by the client, then automatically authorizing oneilonline to publish the updated pages. Any updates and/or continued site optimization can be scheduled at anytime as the client wishes. We like to keep in contact with our clients to ensure complete satisfaction with their web site. FICI Composites ( 2013 - 2017 ) FICI Composites is an international distributor of composite materials and supplies. This website is a fully dynamic database driven website. It incorporates a custom ecommerce store, shopping cart, and a back end admin. This website utilizes HTML5, CSS3, Bootstrap, JQuery, PHP, and MariaDB. Sharkthane ( 2013 - 2017 ) SharkThane provides a full line of professional polyurethane products and accessories. This website is a fully dynamic database driven website. It incorporates a custom ecommerce store, shopping cart, and a back end admin. This website utilizes HTML5, CSS3, Bootstrap, JQuery, PHP, and MariaDB. Fiberlay Canada ( 2012 - 2017 ) Fiberlay Canada is the Canadian version of Fiberlay, Inc. This website is a fully dynamic database driven website. It incorporates a custom ecommerce store, shopping cart, a back end admin and intranet site. This website utilizes HTML5, CSS3, Bootstrap, JQuery, PHP, and MariaDB. Carbon Fiber Deals ( 2012 - 2017 ) Carbon Fiber Deals has been selling carbon fiber fabric for over 5 years in the Seattle area. This website has a custom ecommerce store, shopping cart, and a back end store admin. It incorporates HTML5, CSS3, Bootstrap, JQuery, PHP, and MariaDB. Catastrophe Protection ( 2014 - 2016 ) Catastrophe Protection is an international distributor of safety protection and supplies. This website is a fully dynamic database driven website. It incorporates products pulled from a backend database and a number of RSS feeds. This website utilizes HTML5, HTML, CSS3, PHP, and MySQL. Oorah Gaming ( 1994 - 2016 ) Online game server and voice server hosting for over 40 games to customers around the world. Servers hosted out of 28 datacenters and a major supporter of the online gaming community. This website is a fully dynamic database driven website. It incorporates a custom ecommerce store, shopping cart, a back end admin and intranet site. The website was built on HTML5, CSS3, Bootstrap, JQuery, PHP, Bash, and MariaDB. The intranet side integrates with the remote game servers to automatically create FTP, fast download, mods, and image repositories. oneilreef ( 2011 - 2013 ) Personal saltwater reef website with custom made online store. A WordPress website with custom pages using HTML, CSS, PHP, and MySQL. oneilfam ( 2011 - 2011 ) Personal family website. A WordPress website with custom pages using HTML, CSS, and PHP. 5th Infantry Division ( 2004 - 2011 ) Day of Defeat Online Gaming Clan with members worldwide. Custom web site development. Website features include user management and tracking, and realtime data. Custom graphics and the website includes, html, java, and php. Balance Hydrologics ( 2001 - 2011 ) Environmental Firm, serving the bay area for over 20 years. Custom website development and network administration from the ground up. Using HTML, CSS, PHP, MySQL, MSSQL, XML, Java, and Google Maps API v2. Setup onsite web internet and intranet, ftp, email, MSSQL and MySQL database servers. Website features include, LDAP authentication, user management and tracking, realtime data, content streaming from databases, project database, custom user calendars, custom in/out board. 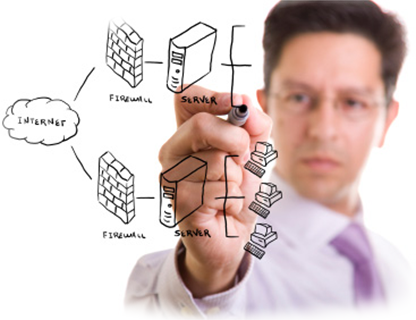 Office infrastructure including network, servers, CAD PCs and user workstations also maintained by oneilonline. Carussos ( 2001 - 2002 ) Custom website development and network administration. Website features include, session ids, user management and tracking, content streaming from databases, custom user calendars, custom in/out board. Custom graphics and the website includes, html, java, and perl. Office infrastructure including servers, CAD PCs and user workstations also maintained by oneilonline. Wretched Minds ( 2007 ) Wretched Minds, a small startup selling mugs, tee shirts, and logos online. Custom e-commerce web design and development. Including but not limited to, Custom Search Engine Optimization (SEO), MySQL product database, and full e-commerce capabilities. Angle of Repose Photography ( 2005 ) Photography by Brian Hastings. Custom e-commerce website development. Website features include content streaming from databases, a custom backend product management and shopping cart. SF Cosmetic Surgery ( 2003 ) Custom Search Engine Optimization (SEO), including but not limited to, keywords, meta tags, and goggle placement.